The Smithsonian’s National Museum of American History is adding more than 10 objects from the award-winning AMC and Sony Pictures Television series, Breaking Bad, to recognize the show’s influence on American culture. The objects include iconic clothes worn by the main characters, Walter White and Jesse Pinkman, and memorable props, such as a bag of the blue meth that Walter and Jesse sell and cups from the fictional restaurant, Los Pollos Hermanos. Prominent cast members, including Bryan Cranston, Aaron Paul, Dean Norris, Jonathan Banks and RJ Mitte, will present the artifacts along with series creator Vince Gilligan and executive producers Mark Johnson, Michelle MacLaren, Melissa Bernstein and Peter Gould. Breaking Bad (2008–2013) follows the tragic descent of Cranston’s Walter White, a high school chemistry teacher who is diagnosed with terminal cancer and starts making methamphetamine to support his family. Borrowing conventions from the classic Western genre, the show uses Walt’s moral disintegration to explore the contemporary American Dream and illustrate the corrosive effects of power and greed. It garnered widespread acclaim and numerous awards, including 16 Primetime Emmys and two Golden Globes. Among the objects is the signature hat that Walter sports when using his “Heisenberg” alias, inspired by renowned German scientist, Werner Heisenberg, who founded the uncertainty principle. 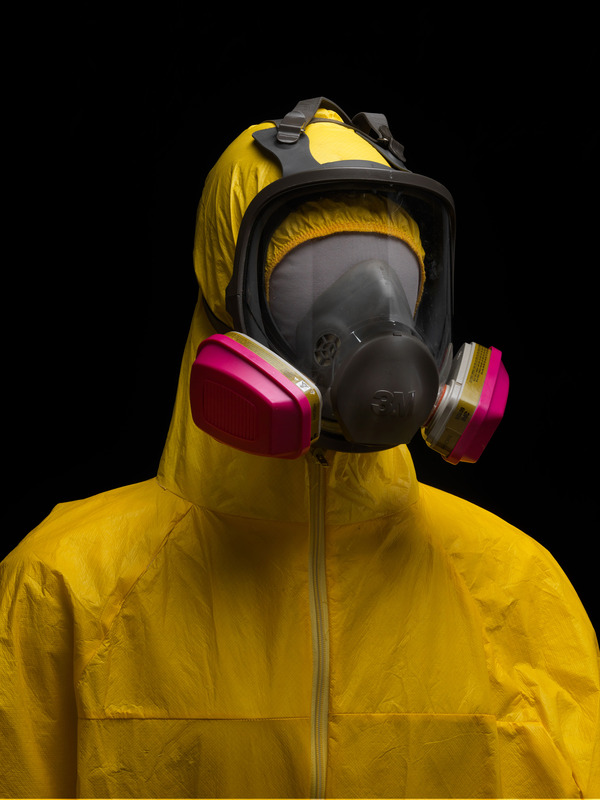 Other key objects include Tyvek suits and gas masks worn by Walter and Jesse while cooking in their lab and several props, such as cups with the Los Pollos Hermanos logo, a bag of the blue meth that Walter and Jesse sell, the sketch of Heisenberg from the episode “No Más,” Hank Schrader’s DEA ID card, a “Better Call Saul” matchbook and a purple corkscrew used by Marie Schrader. The Breaking Bad objects will join artifacts from other iconic series, including Mad Men, The Wonder Years, Seinfeld and All in the Family, in the museum’s growing television collections. There are no immediate plans to display the objects, but an exhibition exploring American culture is in development and will draw on the museum’s theater, music, sports and entertainment collections. The exhibition is scheduled to open in 2018. Through incomparable collections, rigorous research and dynamic public outreach, the National Museum of American History explores the infinite richness and complexity of American history. The museum helps people understand the past in order to make sense of the present and shape a more humane future. For more information, visit http://americanhistory.si.edu. The museum is located at 14th Street and Constitution Avenue N.W., and is open daily from 10 a.m. to 5:30 p.m. (closed Dec. 25). Admission is free. For Smithsonian information, the public may call (202) 633-1000.